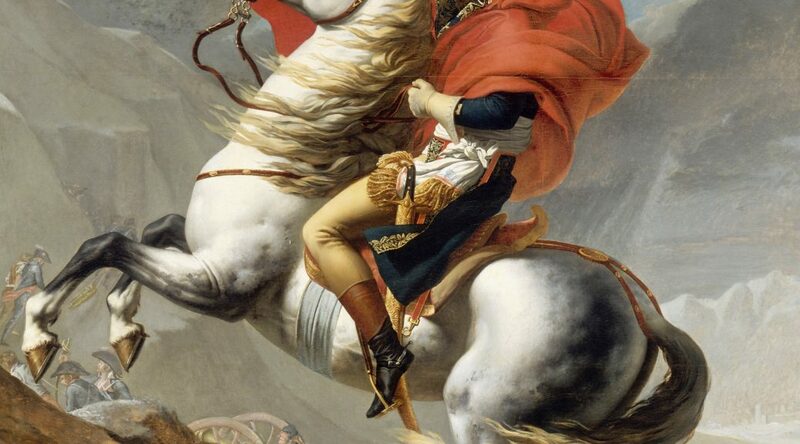 Napoleon, two Scottish Ministers and the birth of the Insurance Funds industry. Napoleon is credited with many achievements, but most lists don’t include his contribution to the foundation of one of Britain’s most famous financial brands. On their website, Scottish Widows traces its origins back to March 1812, when a number of prominent Scotsmen gathered in the Royal Exchange Coffee Rooms in Edinburgh. It was a turbulent time for the UK with not only the Napoleonic wars but with war against the USA looming on the horizon. The historic meeting was held to discuss the setting up of ‘a general fund for securing provisions to widows, sisters and other female relatives’ so that they would not be plunged into poverty on the death of the fund holders during and after the Napoleonic Wars. The discussions and planning took some time and it wasn’t until 1815, the year of Napoleon’s ultimate defeat at Waterloo, that the Scottish Widows Fund and Life Assurance Society opened its doors as Scotland’s first mutual life office. There is however a story behind the story and how in fact the origins of the brand, and indeed the industry, can be traced even further back in history to two Church of Scotland ministers, who actually deserve the credit for inventing the first true insurance fund way back in 1744. Robert Wallace and his friend Alexander Webster were not only ministers but also men of vision. The two ministers were unhappy at the way the women and children of their fellow clergymen were often treated when the men of their households died. They were generally left at the mercy of the fellow ministers, and despite relying on Christian benefactors, were often left homeless and without any income. Wallace and Webster came up with an ingenious plan to curtail this problem, now recognised as the first true insurance fund in history. They proposed that each of their church’s ministers would pay a small portion of his income into a fund, which would then invest the money. Then, if a minister died, his widow would receive dividends from the fund’s profits. This would allow her to live comfortably for the rest of her life. The key question was how much each minister would have to pay in so that the fund would have enough money to deliver on its obligations. Webster and Wallace realised that they had to be able to predict how many ministers would die every year, how many widows and orphans would be left behind, and how many years the widows would live on for. Recognising their own limitations, they contacted Colin Maclaurin who was a professor of mathematics from the University of Edinburgh. The three of them collected data on the ages at which ministers had died and used it to calculate how many were likely to pass away in any given year. The calculations they made concluded that there would be 930 living Scottish Presbyterian ministers at any given time and that an average of twenty-seven ministers would die each year, eighteen of whom would leave widows. Five of those who did not leave widows would however leave orphaned children and two of those survived by widows would also be out-lived by children from previous marriages who had not yet reached the age of sixteen. They then further calculated how long there would be before those widows either died or remarried, as both eventualities caused payments to cease. The final calculations suggested that by contributing £2. 12s. 2d. a year they would guarantee widows would receive £10 a year (a living income in those days). With additional contributions, a minister could guarantee his widow would receive a greater sum each year. The bottom line on all their calculations was that by 1765 the Fund for a Provision for the Widows and Children of the Ministers of the Church of Scotland should have capital totalling £58,348. Records show that actually the capital in 1765 was £58,347, just £1 out. 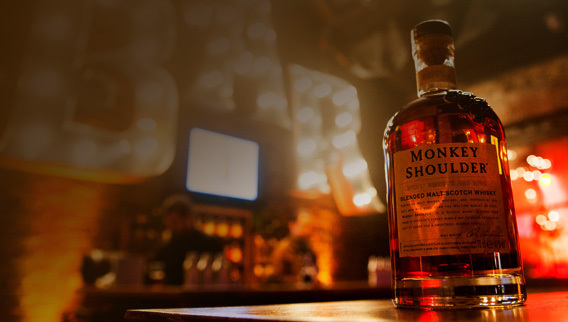 Monkey Shoulder is not your ordinary whisky. Launched in 2005, it was the idea of the then malt master, David Stewart, who wanted to create the first ‘triple’ malt whisky. He combined three different Speyside Single Malts – Glenfiddich, Balvenie and Kininvie to delicious effect. The name which, at first sounds extraordinary, has roots thath are actually a bit more ordinary. Monkey shoulder is a slang term for a physical condition that afflicted a number of maltmen who used to work long shifts, turning the barley by hand using large wooden shovels. The long and arduous work had a tendency to cause their lead arm to hang down a bit like a monkey’s and people would refer to it as monkey shoulder. William Grant who own and produce the brand are proud to say that their maltmen are among the few who still turn the barley manually but not surprisingly are equally quick to say that working conditions have changed and shifts are shorter and less ardous so monkey shoulder is no longer a problem. Kerstin Robinson and Julia Kessler are friends, founders and have fire in their bellies…well chilli, at least. Their brand of soft drinks, NIX&KIX promises “A little heat & a lot of happiness” and the special ingredient in each one is a little cayenne chilli. They tell their tale of the origins of NIX&KIX on their web-site. “The NIX&KIX story began 12 years ago after a chance encounter on a flight to London, when we made the decision to relocate to the UK. Following this fortuitous meeting, we enjoyed a long stint in the corporate world, all while experiencing the London nightlife to the fullest. The pivotal moment came when we both realised that we had reached a point at which nights out fuelled by Vodka Red Bulls would no longer do. Instead, we wanted to enjoy ourselves without necessarily drinking alcohol every time. Along with this realisation, we also noticed a change in our taste buds, as we started to find the soft drinks available either too sugary or bland. This led us to set up a lab at the back of a small shop in Shoreditch, where we began experimenting with different drink combinations, involving customers to the shop, as well as the owners and their extended families. I recently had the pleasure of sharing a stage with Kerstin when she was a panellist at The Value Engineers’ “Think Small” conference and I was MC. Asking her about the challenges of being a small brand, she told us about their early struggles and just how important it was that they stuck to their original aims. “If we’d asked consumers at the very start of the business ‘what do you want’, we would have probably ended up with another J2O or something like that just because the consumer only knows what they know. They cannot think beyond that. If they aren’t used to it, it doesn’t make sense for them. So at the beginning we had a lot of people saying ‘oh, these drinks, they are not sweet enough, we want them sweeter’ and had we done that we would have ended up with a completely different product and a completely different proposition. Whether she meant to or not what struck me was how closely what Kerstin said mirrored the famous Steve Jobs’ quote –“People don’t know what they want till you give it to them”. Now it just remains to be seen if the pair can turn their vision into a really successful brand and prove once again that not all brands are consumer-led but can instead start with a vision or an idea.